I love cooking with oatmeal. I don’t know why, but I use tons of it in my cooking. I already shared the oatmeal cookie recipe and I’m sure I’ll share more recipes with oatmeal as time goes on. So, when I saw the oatmeal bread recipe in my Grandma Dora’s recipe box, I wanted to give it a try. I normally do all of my bread baking in my bread machine, so this was going to be different for me. I was thinking about how impressed my Grandma would have been with my bread machine. But, when I said that to my mom she said, “Oh she would have probably said that she liked the old way better.” Then, she went on to tell me that when my grandpa wasn’t making enough money on the farm, he worked at a limestone quarry for income. He would be laid off in the wintertime, so he would help my grandma with kneading the bread when she made it. 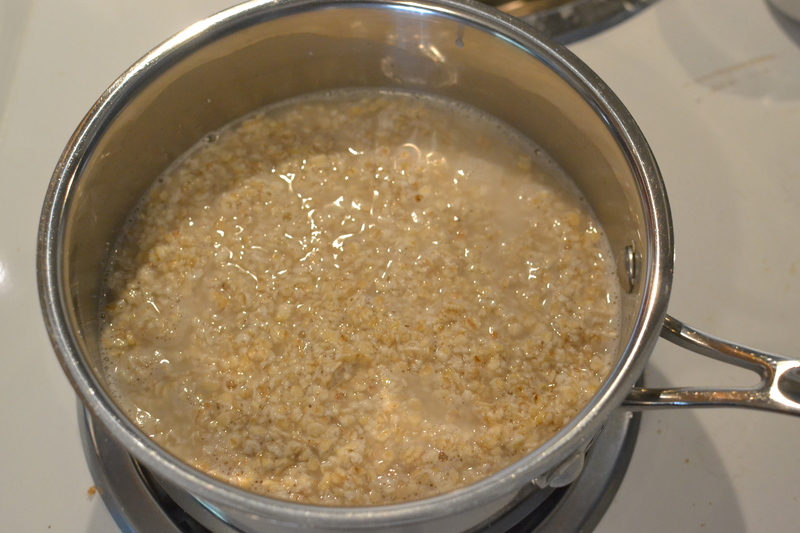 Combine and bring to a boil in saucepan, 2 cups water and 1 1/2 cups rolled oats. 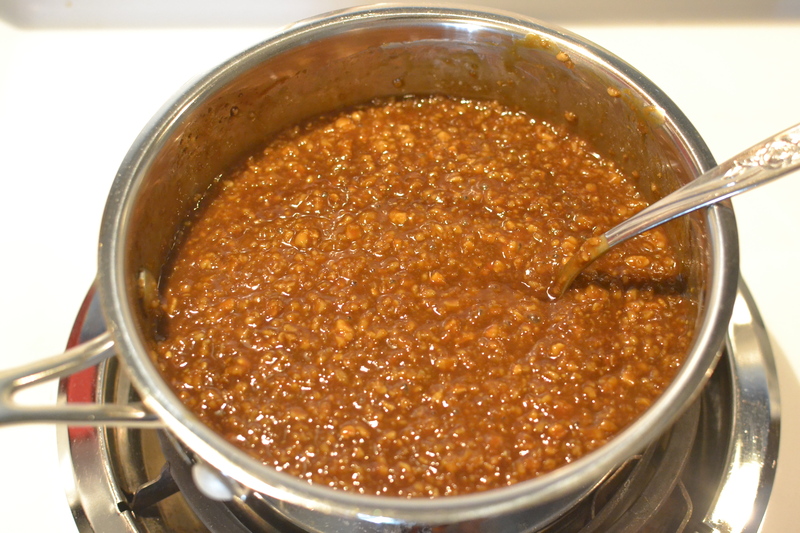 Remove from heat and stir in 1/2 cup molasses, 1 tablespoon salt and 2 tablespoons shortening. Let cool. 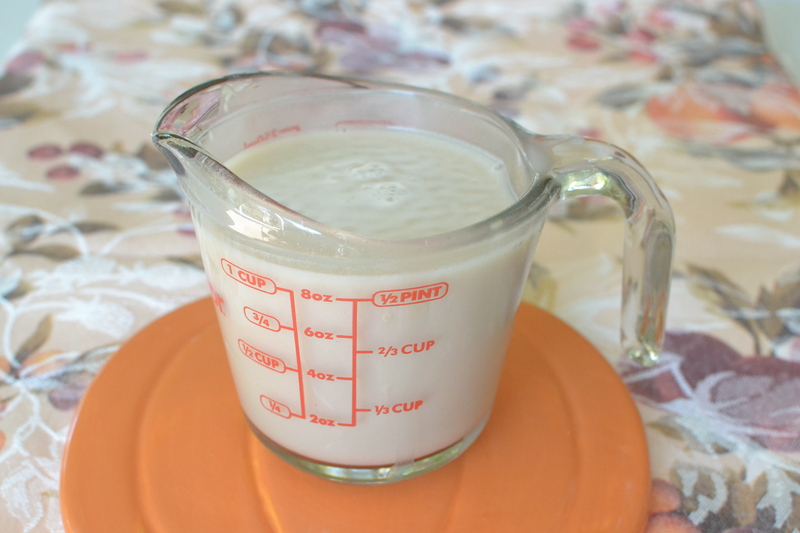 Dissolve 2 packages yeast in 1 cup warm water. When cool enough, put all together and add 6 to 7 cups sifted flour. Mix into loaf and let rise as any bread. Bake at 375 degrees from 3/4 to 1 hour. I started by combining the water and rolled oats. Actually, I only had quick oats on hand, so I just used those. It made a nice pan of oatmeal. I set the mixture aside to let it cool and combined the warm water with the yeast. The recipe called for two packages of yeast. I buy yeast in jars, so I looked up the conversion and found that 1 package of yeast is 2 1/4 teaspoons. So, I needed 4 1/2 teaspoons altogether. I stirred it up until the yeast dissolved in the water. Once everything was cool, I put it all in the kitchen aide. I decided to use my kneading hook attachment although the regular paddle would probably have worked as well. I added about 6 1/2 cups of flour before I thought it looked right. The recipe just called for sifted flour. I wasn’t sure whether to use all purpose flour or bread flour. In the end, I decided on bread flour and I think it was a good choice. 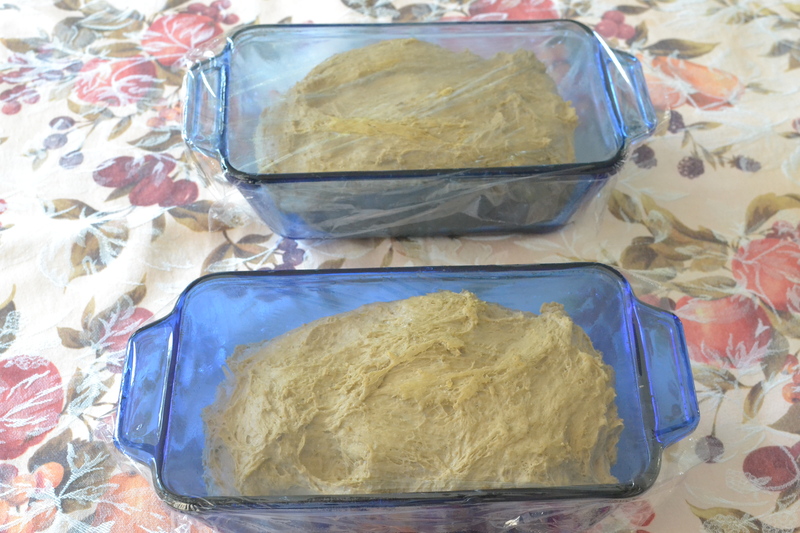 Next it said to “mix into loaf and let rise as any bread.” Since, I usually let the bread machine do this part for me, I called my older sister, who likes to bake bread without the bread machine, for advice. She said I should let it rise once until doubled in the bowl and then punch it down and let it rise again in the bread pan. Both times I let it rise I covered the bowl or pan with plastic wrap, so it wouldn’t dry out. Since it was such a beautiful day outside, I put the dough in the bowl (I should have greased the bowl first, but forgot) and went out for a walk. 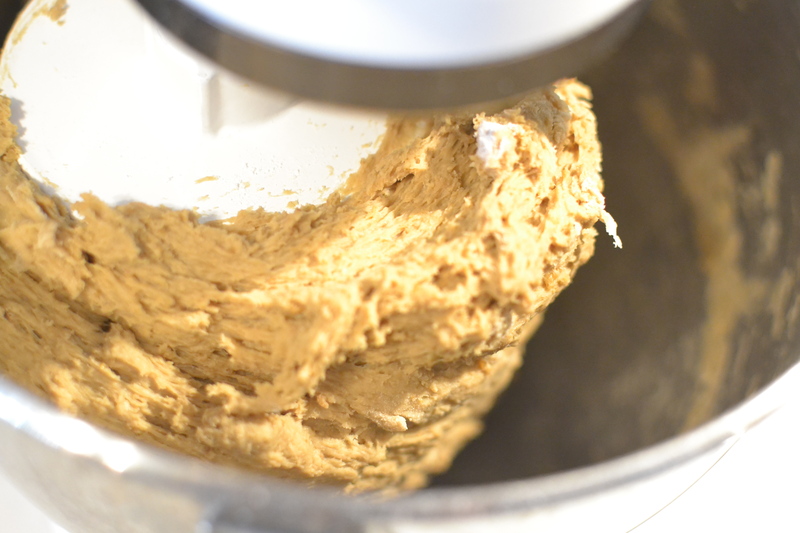 When I came back, the dough had risen high up in the bowl. I punched it down and prepared to put it in two greased loaf pans. Although the recipe said “loaf” singular, I knew that with more than 6 cups of flour, this was going to make at least two loaves. In the end, I think I should have used three loaf pans (or even four) because the two loaves were huge! After the second rising, I preheated the oven to 375 degrees. After about 40 minutes the loaves were looking very done. I let them go a few more minutes and took them out. They were a nice brown color. The loaves were so big that I wondered how they would be. However, when I sliced the bread, I was happy to see that it was nice and soft and tasted good too. My parents both tried some and raved over it. My dad said it was “perfection.” I wondered how it would be the second day. It was still soft and tasted great – it was good toasted too. I think this is one I’ll be making again! I hope you’ll give it a try. I think you will be happy that you did! 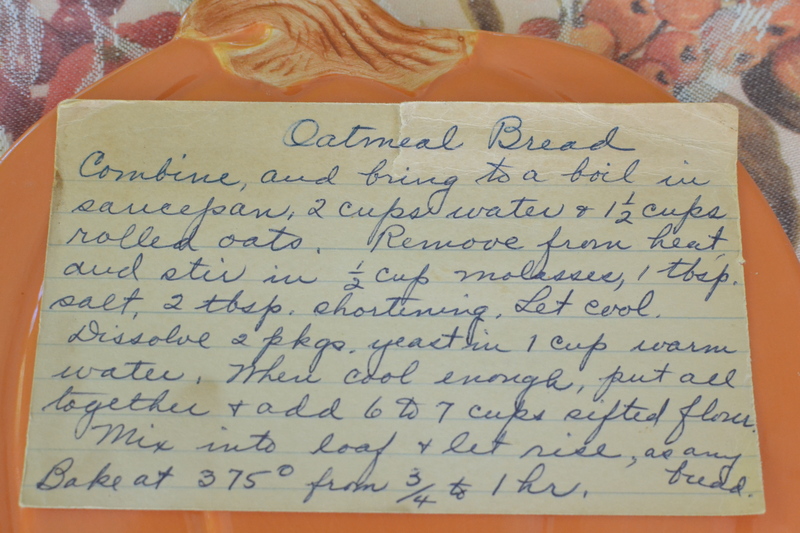 This entry was posted in Breads, oatmeal and tagged baking, Bread, grandma's cooking, homemade, Molasses, Oatmeal, scratch cooking, Yeast Bread by GrandmothersRecipeBox. Bookmark the permalink. This looks great! I can’t wait to try it! I have been really into making bread and I think my family will really like this one. Thanks Rebekah! I hope your family enjoys it as much as mine did! I did make this yesterday and we really liked it! It reminded me of Swedish rye bread that I make sometimes. Probably because of the molasses. I did make just a few changes because of my shortage of bread flour! I used 2 cups bread flour, one cup all purpose flour and the rest whole wheat flour. I also put it into 3 bread pans. I think because of the use of half (or more) whole wheat flour it didn’t rise as much and was a bit more dense than yours looked. But it wasn’t too heavy at all and was soft in the middle and had a nice crispy crust on the outside. Plus had the healthy benefits of the whole wheat. I had it for breakfast this morning too, toasted, with butter on top. Delicious!! Everyone should try it! I’ve never tried an oatmeal bread recipe. I’m going to give this a try. I love the little smudge on your grandma’s recipe card. It’s such a neat blog! Hi Katiera! 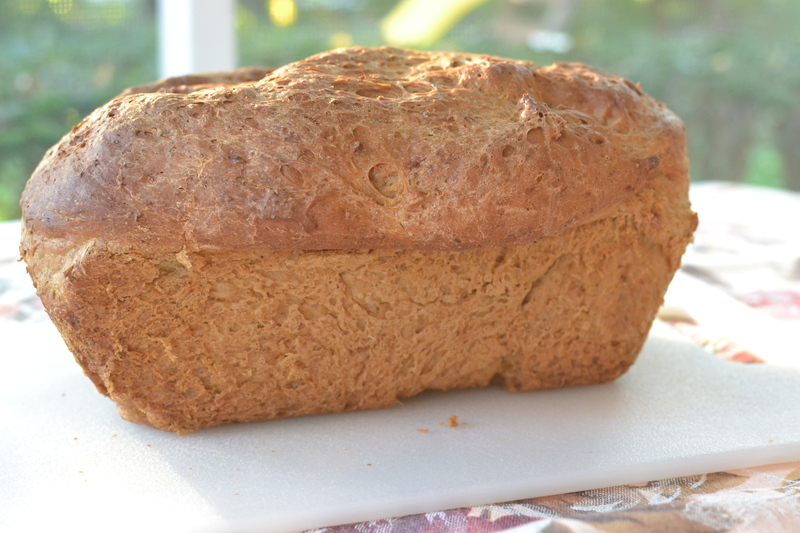 Let us know what you think of the Oatmeal Bread if you make it! 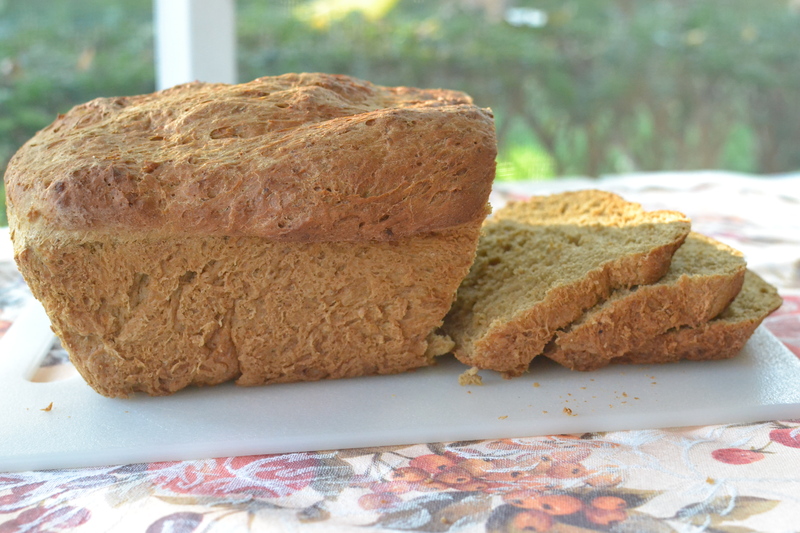 I found another Oatmeal Bread recipe when I was going through Wendy’s recipe box today. It called for honey rather than molasses. I might try it and compare the two. Oatmeal makes anything healthy, yes!? Do check out the Sweetie-licious book. Lots of stories, too. I would love to try this bread for sure. I am bookmarking it Thank you for sharing a unique recipe! Thanks Liz! Hope you enjoy it. Let us know how it turns out!